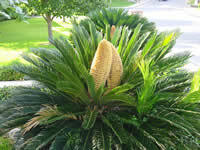 I have something strange growing out the top of my Sago Palm. Should I remove it? Will it kill the plant? 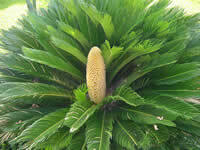 Is it a flower? Will it produce seed? 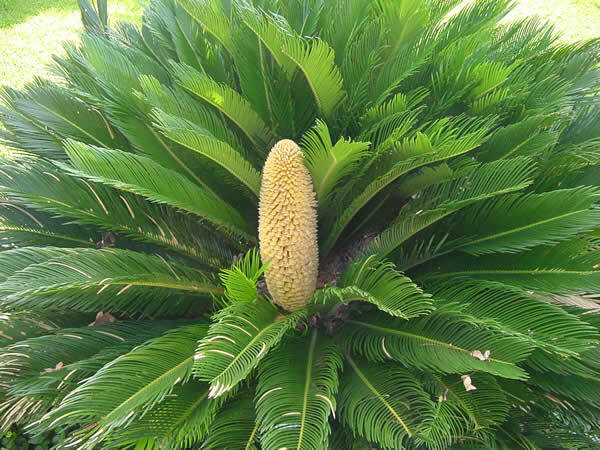 If it does produce seed, can I plant them and grow more Sagos? 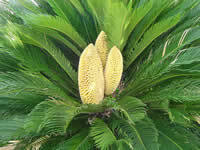 For some reason, a lot of Sago Palms have "matured" this year and are producing flower spikes. You don't have to remove the flower spike but you can remove it if you want. 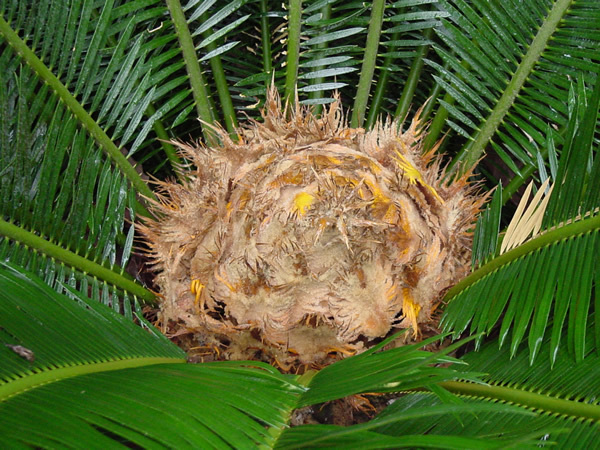 If left on the plant, the odds are good that it will produce fruit containing seed. 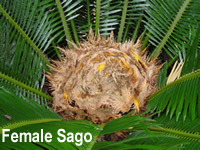 Sagos can be grown from the seed. At the following web sites you will find images and wonderful articles written by Lynn McKamey of Rhapis Gardens in Gregory, TX 78359 (361) 643-2061, which is just north of Corpus Christi. 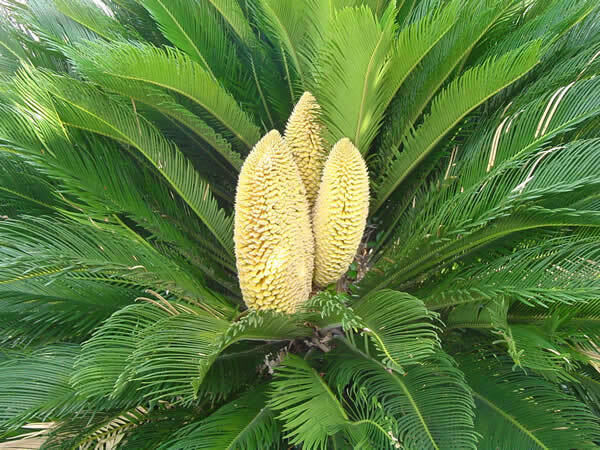 These will answer any and all of your Sago Palm questions.